Danny Bluestone, a young Native Canadian drifting through life, settles for a job at a children's camp in his Northern Ontario hometown of Red Dog Lake. Local entrepreneur, Meredith Easter, offers Danny some easy money: play the role of native scout for his wealthy hunting buddies. Danny knows that Easter's roadside attraction, Santa's Fish Camp, is the front for the local grow-op, and probably more, but the money is his way out of Red Dog Lake. Danny flies the hunters to an island lodge deep in the wilderness. Once there, he learns that he's part of an illegal bear hunt and is powerless to stop the men from shooting the helpless animal. The following morning, he awakes to find the hunters brutally murdered - all but Ricky, a mysterious American. Even though each of them believes the other is the killer, Danny and Ricky must team up to escape the forest fire started by the hunters. 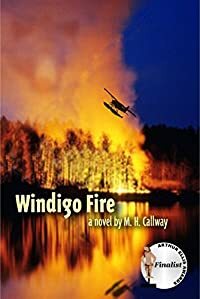 While his friends in Red Dog Lake struggle to rescue him, Danny falls back on the teachings of his shaman grandmother to survive the bush and the Windigo, the evil spirit that pursues them.